You’ll love Salty’s Valentine’s romance during the Month of Love. There’s the drama of the waterfront view from virtually every table. We’ll treat you and your date like royalty. 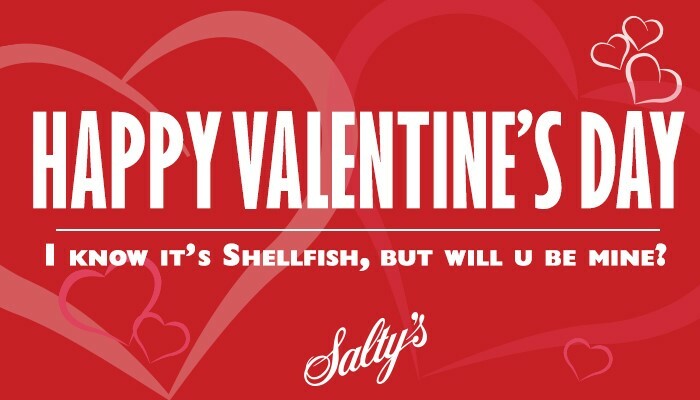 Make your Valentine’s Day the best it can be, seaside with Salty’s. We respectfully ask for a 1.5 hour time frame on all tables to allow time for others who have reserved with us. Guests who do not show for their reservation will be charged $50 per person.